DM Metalloys Pvt. 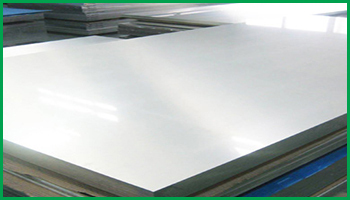 Ltd. is one of the prominent supplier, manufacturer and exporter of stainless steel 316/316L/316TI (ASTM/ASME: UNS S31600 / S31603/ S31635, DIN: 1.4401 / 1.4404) plates. The content of nickel and molybdenum in this grade allows it to establish better overall erosion resistant properties than other stainless steel grade, especially with regard to pitting and fissure corrosion in chloride environments. In addition, SS 316/316L/316TI provides excellent eminent temperature tensile, creep and stress-rupture strengths, as well as exceptional formability and welding ability it has. We manufacture our own product with optimization of finest quality of raw material. As per EN , DIN , JIS , ASTM , BS , ASME , AISI , etc. DM Metalloys Pvt. Ltd. Supplies Stainless Steel 316, 316L, 316TI Plates in Faridabad, Gurgaon, Gurugram, Gaziabad, Noida, Lukhnow, Delhi, Delhi NCR, Ludhiana, Amritsar, Chandigarh, Jalandhar, Baddi, Punjab, Uttar Pradesh, Haryana, Mumbai, Pune, Sahibabad, Meerut, Manesar, Bhiwadi, Bawal, Neemrana, SIDCUL, Sonepat, Ambala, Mohali, Panchkula, Kapurthala, Bareli, Kanpur.